The shooting at a high school in South Florida is one of the deadliest mass shootings in American history. At least 17 people were killed and over a dozen people were taken to the hospital, according to authorities. 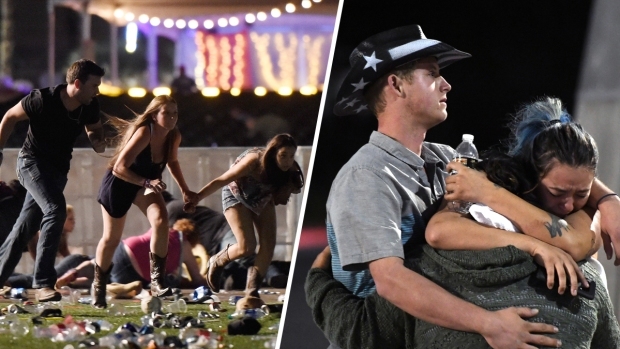 58 Killed - Las Vegas, Nevada (Oct. 1, 2017) - A gunman on the 32nd floor of a Las Vegas strip casino fired down on a country music festival below, killing at least 58 people and wounding 515, according to authorities. The suspected gunman, Stephen Paddock, killed himself at the scene, police said. 14 Killed - San Bernardino, California (Dec. 2, 2015) - Fourteen people were killed and 22 wounded at a gathering of San Bernardino County employees. Husband-and-wife suspects Syed Rizwan Farook and Tashfeen Malik were killed in a gunfight with police. 12 Killed - Washington, D.C. (Sept. 16, 2013) - Twelve people were killed and eight injured at the Washington Navy Yard. Gunman Aaron Alexis, of Texas, was killed. 9 Killed - Charleston, South Carolina, (June 18, 2015) - Nine people were killed at a prayer meeting at Emanuel African Methodist Episcopal Church, a historic African-American church. Gunman Dylann Roof, a white supremacist, was sentenced to death.